I'm going to do Lynnderella Friday a little differently and post it on Monday this week! I have three gorgeous polishes to show you and I was a little too busy on Friday and over the weekend to get it posted. I hope this makes your Monday feel more like a Friday! 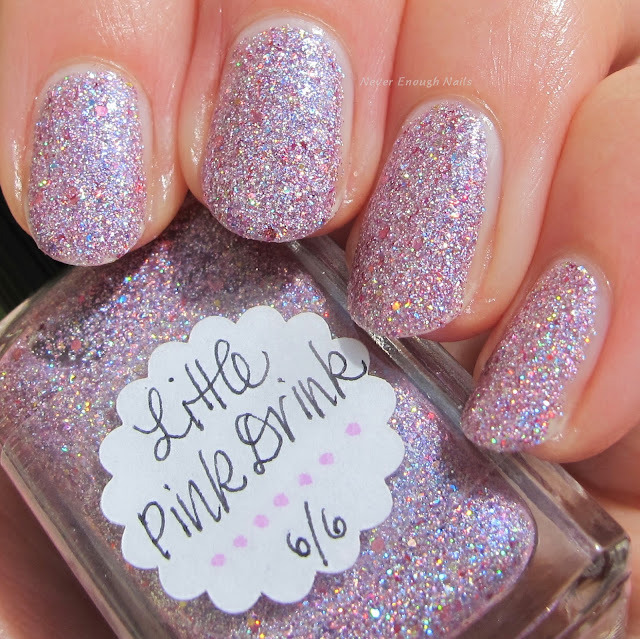 First up is the stunning Lynnderella Little Pink Drink. This beauty is a pink holographic microglitter with multicoloured holographic flake accents. 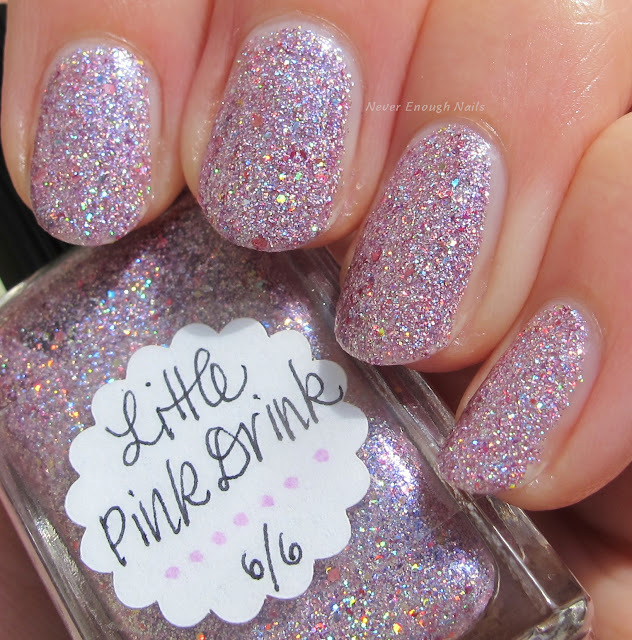 Little Pink Drink looks crazy holo in person, so I think the combo of holo flakes and microglitter is pushing the rainbow quotient up a lot. 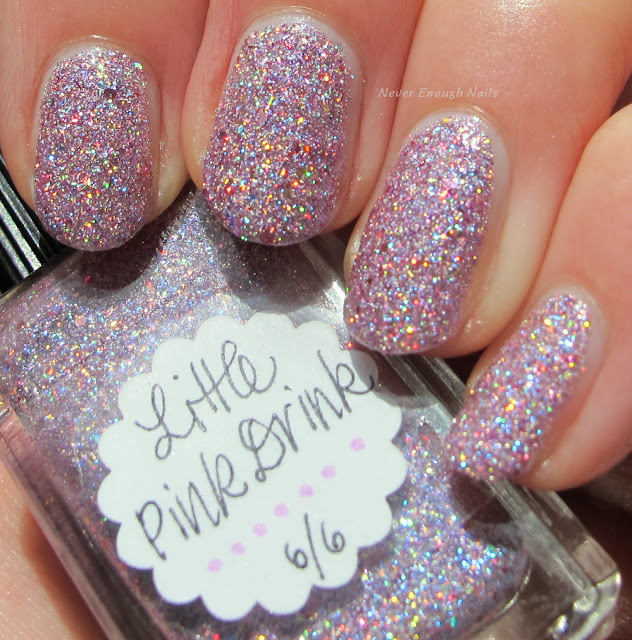 This lovely nail polish also has a frosty pink sheen to it. This was two coats and the coverage was fantastic. Quite nearly a one-coater. It was pretty easy to apply and smooth with one layer of top coat. Lynnderella Pink Milky Way is my favorite fall polish so far. 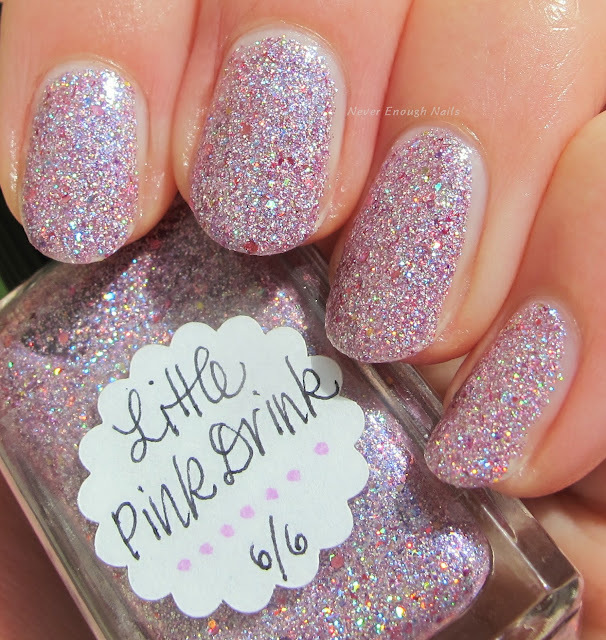 This is so incredibly beautiful, very much like outer space with pink stars! The base is a deep purple-y navy shimmer and it is jam packed with metallic pink accent glitter and pink holographic microglitter. In some lighting, you can also see a glimmer of pretty royal blue shimmer too. This is two super easy coats. Pink Milky Way applied like butter and I didn't even need to do any clean-up. It was perfectly smooth and shiny with top coat. If it's still 85 degrees or higher near you like it is here, you may not be finished wearing your summer nail polish. If that's the case, Lynnderella Pink M.E. Up! is so perfect for you! 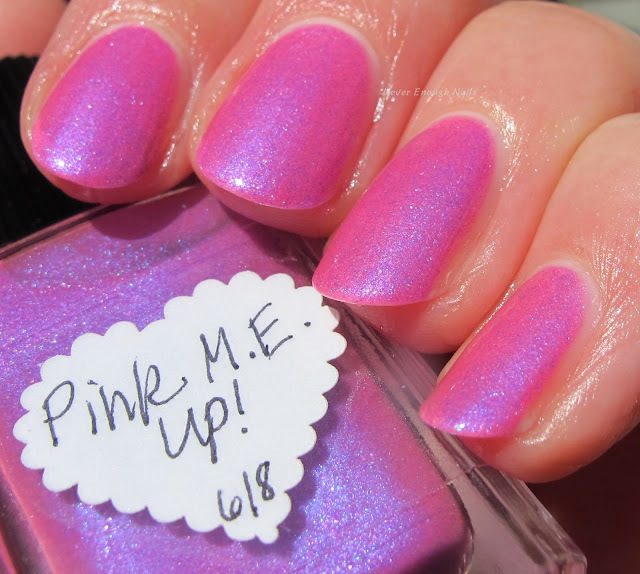 This is a bright neon magenta with blue-violet shimmer and purple sheen. 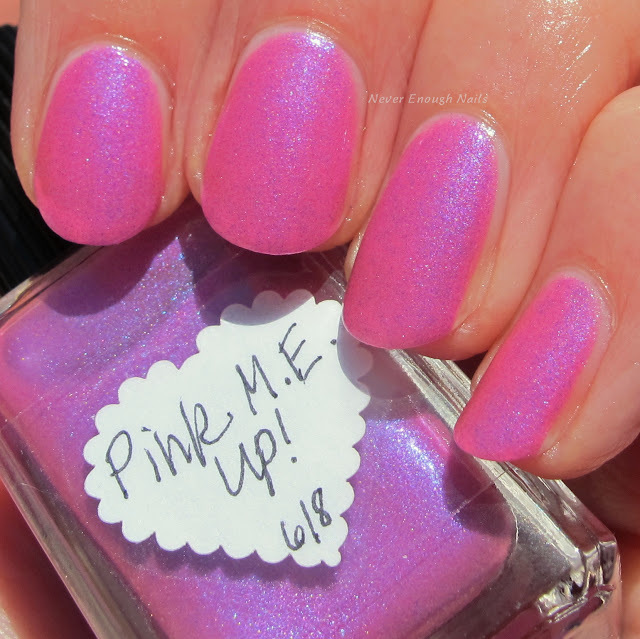 I really like that this is a neon, but the shimmer is so strong. It's a beautiful effect to have that brightness with the contrasting pop of blue shimmer! 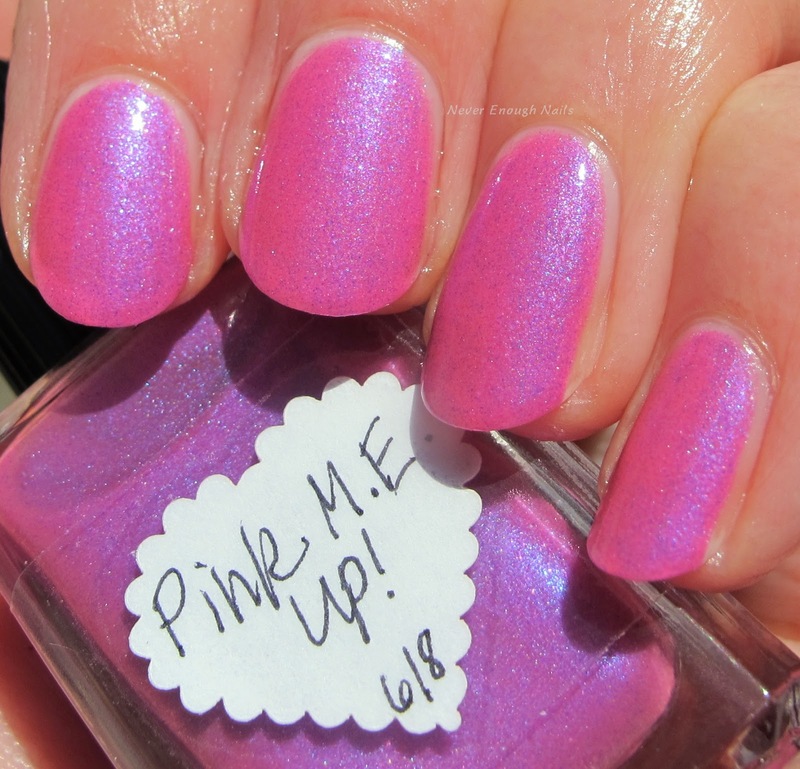 This was a little less opaque than the other polishes in this post, but this is still two coats. I went a little heavier on the second coat, but that's probably a normal coat for most people. It was very easy to apply and has a great formula. These are all available right now at http://stores.ebay.com/lynnderella-lynnderella. For more gorgeous Lynnderellas, check out lynnderella.com!